Hi Richa! I completely agree with your observations. Char Minar’s plight is a really sad one, and to think that it’s the main landmark of the city! I really recommend both Chowmahalla Palace and Salarjung Museum. In fact, even Hyderabad’s zoo is worth a visit! I haven’t been to Golconda yet (because we always tend to visit during the peak of summer), but hopefully this year, we will. Chowmahalla palace tops my list for a next visit with so many recommendations! Maybe you should visit Golconda in the evening for the light show when these huge forts are much easier to navigate without getting dehydrated! A delightful post on Hyderabad/ Secunderabad twin cities and you pretty much covered what one can do on a short visit Richa, as had done pretty much the same! Hyderabad has evolved well with time except for preserving the heritage! I completely agree. The new parts of the city are beautiful and well-developed, but the older places and what could have been cultural hubs are in shambles. A great pity indeed for the heritage indeed. 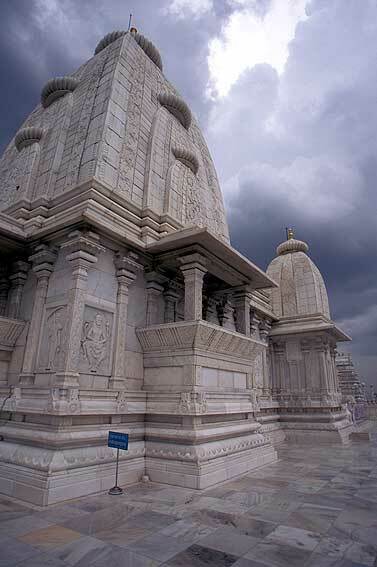 Beautiful pic of Birla Mandir and a wonderful write-up. We need more of these on each city for people who travel for work. would like to add something which a friend suggested – “Dialogue in the Dark”, a show at Inrobit mall. Thanks! The Birla pic is unfortunately not mine, and is from wikimedia commons!..Photography wasn’t allowed there beyond the shoe-rack! The inorbit show sounds interesting..and the mall is near my office so I can definitely check it out! Thanks! The pic and the Birla pic are not owned by me though :).Got them from Wikimedia commons. That is great to hear! Have a good trip and make the most of whatever little time you may have to see the two places you mentioned! I totally agree. The pollution is completely ravaging these lovely structures. If only, the Indian Government realized how valuable these heritage sites were! Sigh!